Joy was born on August 31 ,2012. She has had multiple Puppy in Group wins. She finished her championship at the Conception Bay Kennel Club show on August 31 ,2013 under Judge Martin Doherty. A special birthday present!! Joy came back to the ring in 2016. 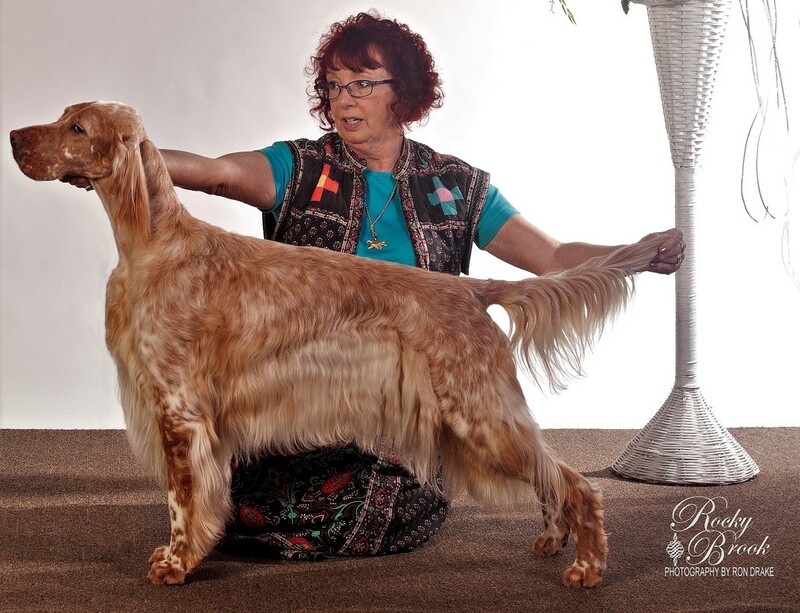 She attained her Canadian Grand Champion title and finished the year as # 6 English Setter in Canada with very limited showing in the Atlantic provinces. Thank you to all the judges who appreciated my girl. Joy will take time out to have puppies in 2017.